Around here, basil is basically a ground cover. 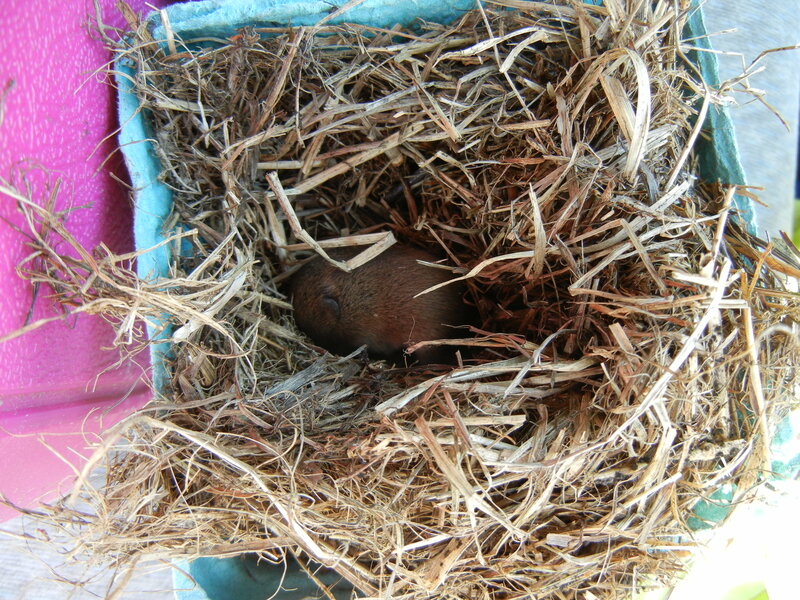 It readily reseeds itself, grows densely, requires less water than most of the garden, and can be ripped out in July to make a ton of frozen pesto ice cubes. Its great for shading out weeds but you run the risk of basil becoming a weed the next season. This basil is from my friend Denise’s garden. 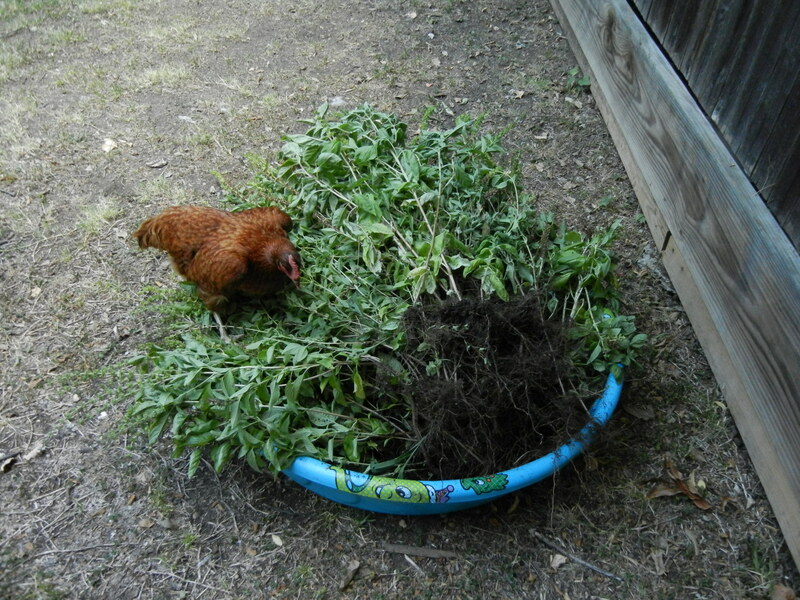 We filled an entire kiddie pool at least a foot over the rim, the chicken in the picture is for size comparison. 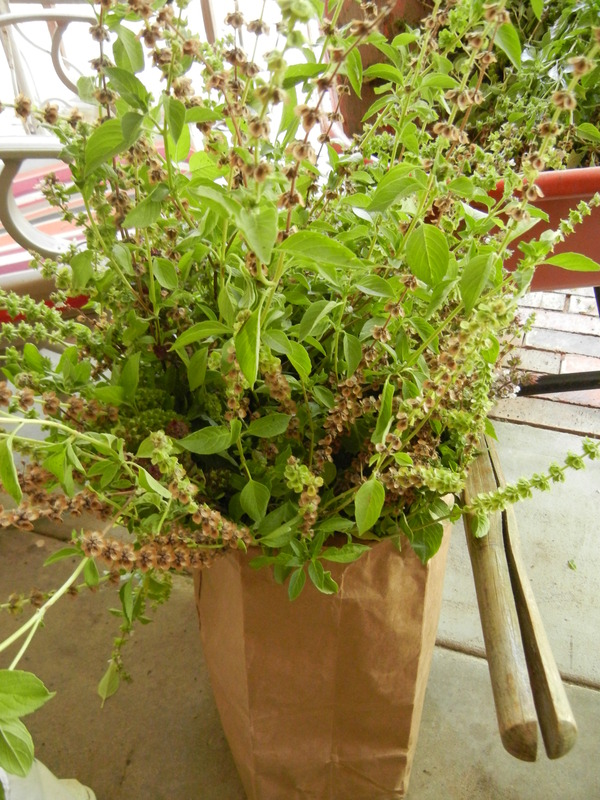 We set the basil up on the patio and began to strip the stems of their leaves and to set aside the seed heads of the basil varieties that were more appealing. 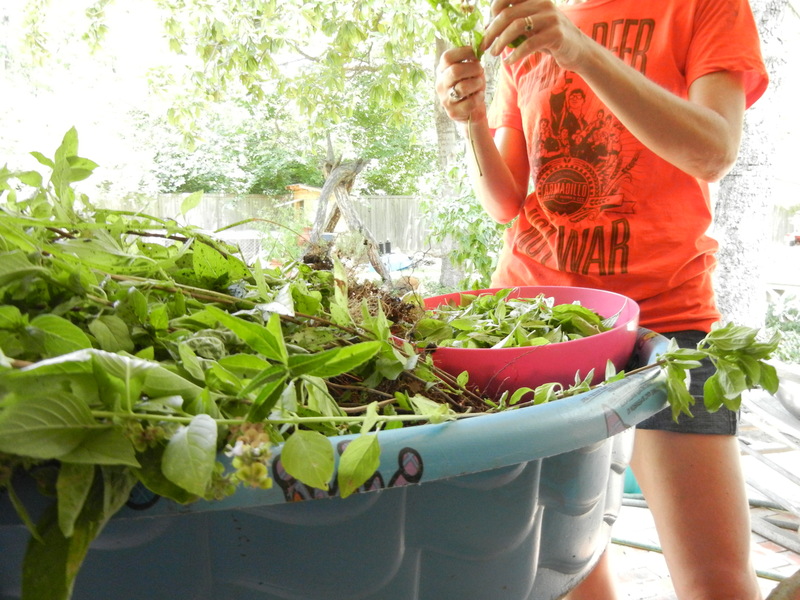 There was broad leaf, thai, lemon, and purple basil all in the mix. After stripping down only half of the basil, we gave up. There was more than enough and the rest of it could just get mixed into the compost. The seed heads were all left to dry and eventually bundled and hung over a sheet to collect the seeds as they dropped. Not that we really needed to harvest basil seeds, as I mentioned before, they reseed themselves in plague-proportions. 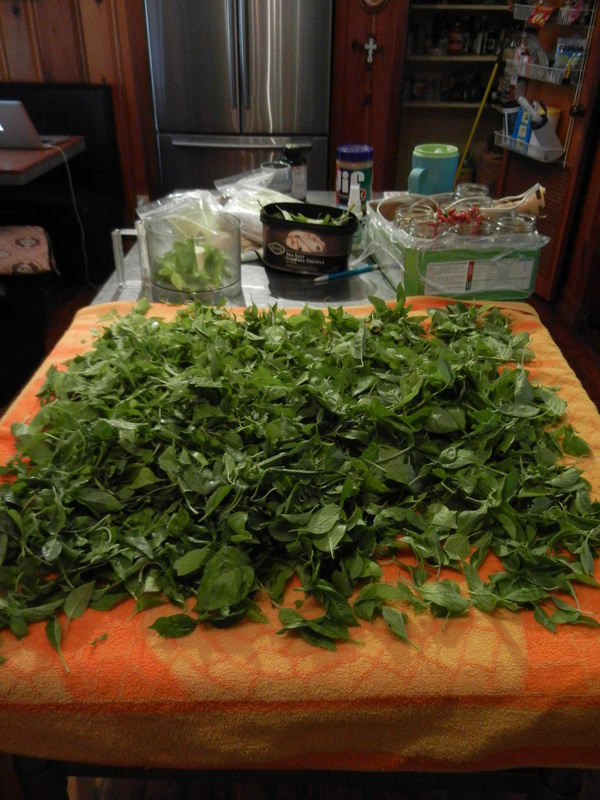 And the leaves were brought into the house, cleaned with a salad spinner, pureed with just enough olive oil to keep them moist, and then frozen in ice cube trays. We ended up with about 5 ice cube trays – there would have been more but a lot of it was made into pesto for immediate consumption. Everything smelled amazing for a few days afterwards; if there is a basil scented perfume out there, I want it.